An amended version of the Amateur Radio Parity Act, H.R. 1301, received a unanimous favorable report on July 13 from members of the US House Energy and Commerce Committee. The bill now will go to the full House for consideration. Before reporting the bill out of committee, the panel first voted to accept the amended language, "in the nature of a substitute." Rep Greg Walden, W7EQI (R-OR), who chairs the Energy and Commerce Committee's Subcommittee on Communications and Technology, said the substitute bill represented "a good balance" that came in the wake of months of meetings, hard work, and compromise, and he recommended the measure to his colleagues. "The amendment guarantees that even in deed-restricted communities, Amateur Radio operators are able to use an effective outdoor antenna," Walden said. "Without an effective antenna Amateur Radio operators are severely limited, so this amendment ensures that amateurs are free to pursue their passion wherever they live." At the same time, he continued, the measure protects the rights of those "who have chosen to live in deed-restricted communities and to set their own aesthetic and other rules." In early June, the ARRL and the Community Associations Institute (CAI) -- the national association of homeowners associations (HOAs) -- announced that they had reached consensus on substitute language for HR 1301 in an effort to move it through committee and to overcome objections to the companion US Senate bill, S 1685. The offices of US Representatives Adam Kinzinger (R-IL), the bill's sponsor, Anna Eshoo (D-CA), and Walden mediated and offered assistance. Rep Greg Walden, W7EQI (R-OR), speaks in favor of HR 1301 during a House Energy and Commerce Committee markup. "While it's rare to have two groups with opposing viewpoints walk away from legislation happy, by golly, I think we've done it here," Walden concluded. He said the substitute bill represented "the best of what our committee can do when we work together in bipartisan compromise that meets the needs of all parties involved." In her remarks, Eshoo said she was glad that an agreement had been reached on the bill's language, which she initially feared would violate the rights of homeowners associations. "We found a balance that works for all stakeholders," she said, calling the ARRL and CAI "the bookends of the effort." Kinzinger called the amended bill "a good amendment that strikes the right balance." It's taken a couple of weeks, but the FCC has resolved a computer programming problem that had affected its ability to accept and process batch-filed Amateur Radio applications, resulting in a backlog for the Volunteer Examiner Coordinator (VEC) and others taking advantage of automated processing. The FCC information technology staff had been attempting to fix the glitch that had affected the Universal Licensing System (ULS) Electronic Batch Filing (EBF) system since it first cropped up on June 28. At first the problem had affected the processing of all Amateur Radio and commercial license applications, said ARRL VEC Manager Maria Somma, AB1FM, who alerted the FCC IT Department. By June 30, it appeared that the FCC had corrected the broader problem, but the EBF remained unable to process ARRL VEC's automated, batch-filed applications and exam sessions. VECs that were manually logging in to upload their files were unaffected. ARRL and FCC IT staffers put their heads together to solve the problem of the blockage. "The FCC IT staff was astutely attentive to the problem every step of the way, as they worked with our IT department to find a solution," Somma said. "We appreciate the specialized service we received." ARRL's IT Department and the ARRL VEC confirmed on July 14 that the problem had been fixed, the backlog of more than 1200 applications and 300 exam sessions cleared, and the flow of automated, batch-filed applications and exam sessions able to resume. Ham Radio Outlet (HRO) has announced plans to hire an unspecified number of Amateur Electronic Supply (AES) employees when AES shuts down its four locations in late July. In addition, the current AES Headquarters store in Milwaukee will become HRO's newest location later this summer, following renovation. On July 1, AES announced that it was going out of business and ending retail operations at its Milwaukee, Las Vegas, Cleveland, and Orlando locations. With the approval of AES management, HRO senior managers visited each AES location to interview staffers in hopes of "acquiring some of the Amateur Radio retail employee talent in each of the current AES locations," an HRO news release said. "Together with this interview process, HRO examined what it would take to perhaps acquire one or more of the AES store locations. At the time of these interviews, many opportunities were explored with current AES senior management," the release continued. "We are very excited to announce that HRO was successful in providing offers of employment to a number of soon-to-be-former AES employees, and that to some, we have offered positions that involve HRO-sponsored and funded relocation." The AES Milwaukee Headquarters store. "It is with great pleasure that we are able to continue Terry Sterman's and Phil Majerus' legacy of providing a fantastic Amateur Radio store in Milwaukee, Wisconsin," said HRO President Robert Ferrero, W6KR. "It is our immediate goal to have the largest, most well-stocked Amateur Radio retail store in North America and perhaps even the world." After AES closes on July 28, all former AES locations' direct and toll-free telephone numbers will be redirected to the closest HRO location, and the AES website will be directed to HRO's website. A family-owned business, HRO is the world's largest Amateur Radio dealership, with locations from New England to the West Coast. ARRL CEO Tom Gallagher, NY2RF, and Emergency Preparedness Manager Mike Corey, KI1U, recently visited Federal Emergency Management Agency (FEMA) headquarters in Washington, DC, to further explore areas of cooperation and partnership, in line with the Memorandum of Agreement that ARRL and FEMA signed in 2014. 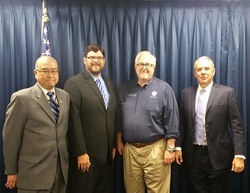 From left to right, FEMA Chief Technology Officer Ted Okada, K4HNL; ARRL Emergency Preparedness Manager Mike Corey, KI1U; FEMA Administrator Craig Fugate, KK4INZ, and ARRL CEO Tom Gallagher, NY2RF. During the June 29 visit, Gallagher and Corey met with FEMA Administrator Craig Fugate, KK4INZ. FEMA Chief Technology Officer Ted Okada, K4HNL, also attended the meeting. "Administrator Fugate's detailed knowledge of Amateur Radio is impressive, and his support for the amateur community is very encouraging," Gallagher said afterward. He went on to say that he was most impressed by Fugate's observation that "any mode of RF that will connect across the continent is valuable; we don't have enough backups to the public switched network." 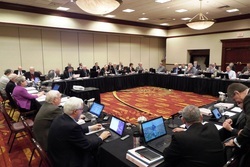 the first Board meeting for ARRL's new CEO Tom Gallagher, NY2RF, who joined the Headquarters staff on February 29 and became CEO on April 18 upon the retirement of David Sumner, K1ZZ. Gallagher also serves as secretary to the Board. Among other business, the Board will hear reports from League officers, including a status report on regulatory, legal, and legislative issues. Reports from various committees, including the standing Executive, Administrative and Finance, and Programs and Services committees, also will be aired. ARRL President Rick Roderick, K5UR, who was elected at the January meeting of the Board, will preside. "Propagation" is the topic of the latest (July 14) episode of the "ARRL The Doctor is In" podcast. Listen...and learn! Just ahead on July 28, the subject will be "Magnetic Loops." July represents the halfway mark for the ARRL National Parks on the Air (NPOTA) program. With just under 6 months to go, slightly more than 490,000 contacts have been made from 431 of the 485 eligible NPS units, in 8250 separate activations. There's plenty of time left to get involved! With the summer vacation season in full swing, many NPS units would enjoy seeing a new NPOTA face. You can start collecting NPOTA units any time; Activators are always looking for new stations to log. With band conditions being less than spectacular lately, NPOTA offers a way to enjoy Amateur Radio as either Chaser or Activator, with plenty of domestic QSO opportunities and portable operating adventures free for the taking. Help NPOTA reach more than 1 million QSOs in 2016! A record 68 activations are scheduled for the week of July 13-20, including Bryce Canyon National Park in Utah, and the Nez Perce National Historical Park in Idaho. Given the level of enthusiasm at the 2016 running of Dayton Hamvention® in mid-May, attendance may have seemed up, but for all intents and purposes, it held steady at 25,364 visitors. That figure was down only slightly from the 25,621 attendees reported for 2015, but above the 25,000 mark for the second year in a row. For those keeping track, in 2014 the official count was 24,873 visitors, and attendance in 2013 was 24,542. Hamvention attendance peaked in 1993 at 33,669, before the 1996 change in date from April to May. While attendance has fluctuated over the years, Hamvention has grown to international proportions, attracting members of the worldwide Amateur Radio community each spring. The Dayton Amateur Radio Association (DARA) has sponsored Hamvention since 1952. Originally called the Southwestern Ohio Ham-vention, the inaugural event, held in March in downtown Dayton, attracted 600 attendees -- twice as many as had been predicted. Today it is the world's largest Amateur Radio gathering. DARA now is counting down the days to the next Hamvention on May 19-21, 2017. 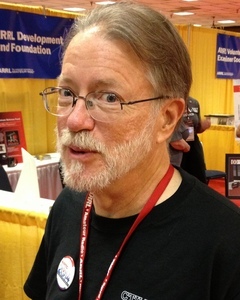 Hamvention's new General Chairman is Ron Cramer, KD8ENJ, who succeeded Jim Tiderman, N8IDS. Tiderman reported an "overall good mood" and "a positive attitude" at this year's event and said the Hamvention staff received many upbeat comments. A free ARRL Training Webinar, "Contesting as Training for Public Service," hosted by Ward Silver, N0AX, will take place on Sunday, July 24, 8 until 10 PM EDT (0000-0200 UTC on July 25). All are invited to join the audio-slide presentation online or via telephone. "Just a brief overview of the event, the results, the number of participants, and any interesting outcomes," Corey said, in describing what he's looking for. Contact Corey via e-mail. An international tribunal ruling discounting China's claims with respect to Scarborough Reef and the Spratlys could complicate efforts to mount another DXpedition to the rare and remote South China Sea DXCC entities. The Permanent Court of Arbitration in The Hague ruled this week in favor of the Philippines in a dispute with China over Scarborough Reef -- also known as Scarborough Shoal. The last DXpedition to Scarborough was the 2007 BS7H operation. A 2016 DXpedition has been reported to be in the works. The UN tribunal meeting in The Hague. The tribunal said that although navigators and fishermen from China and other states have historically made use of South China Sea islands, there was no evidence that China had historically exercised exclusive control over the waters or resources. According to the tribunal, China had violated the Philippines' sovereign rights and has caused "severe harm to the coral reef environment" by building artificial islands and an air strip. China, which refused to take part in the arbitration, said it would not be bound by the tribunal's ruling. China claims almost all of the South China Sea, including reefs and islands also claimed by other countries, but the tribunal made clear that its ruling did not address issues of territorial sovereignty. 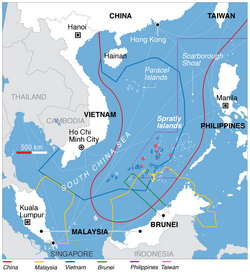 This map shows some of the conflicting claims in the South China Sea. "This arbitration concerned the role of historic rights and the source of maritime entitlements in the South China Sea, the status of certain maritime features and the maritime entitlements they are capable of generating, and the lawfulness of certain actions by China that were alleged by the Philippines to violate the Convention," the Permanent Court of Arbitration explained in a lengthy news release on July 12. "In light of limitations on compulsory dispute settlement under the Convention [on the Law of the Sea], the Tribunal has emphasized that it does not rule on any question of sovereignty over land territory and does not delimit any boundary between the parties." Scarborough Reef is claimed by China, the Philippines, and Taiwan. In recent years, China has been actively expanding the land area of the unpopulated reefs such as Scarborough and establishing a burgeoning military presence, which it has deployed to keep away any visitors on land or by sea. The tribunal said this activity, since the arbitration began, has unlawfully aggravated and extended the dispute. Read more. NASA astronaut Kate Rubins, KG5FYJ, astronaut Takuya Onishi, KF5LKS, of the Japan Aerospace Exploration Agency (JAXA), and cosmonaut Anatoly Ivanishin of Roscosmos officially joined their Expedition 48 International Space Station (ISS) crew members on July 9, when the hatches opened between their Soyuz MS-01 and the space station. Four radio amateurs now are on board the ISS. Expedition 48 Commander Jeff Williams, KD5TVQ, of NASA, and Flight Engineers Oleg Skripochka, RN3FU, and Alexey Ovchinin of Roscosmos greeted the newcomers. Rubins, Onishi, and cosmonaut Ivanishin replaced Expedition 47 Commander Tim Kopra, KE5UDN; Flight Engineer Tim Peake, KG5BVI/GB1SS, and Yuri Malenchenko, RK3DUP, who returned to Earth in mid-June after a little more than 6 months in space. Later this summer, Williams and Rubins are scheduled to install the first of two international docking adapters, soon to launch to the ISS. The adapters will allow commercial spacecraft to dock to the station in the near future when transporting astronauts as part of NASA's Commercial Crew Program. Rubins, Ivanishin, and Onishi are scheduled to remain on station until late October. The trio launched early on July 7 from the Baikonur Cosmodrome, traveling to the ISS onboard an upgraded Soyuz MS-01 spacecraft on its maiden voyage. Williams, Skripochka, and Ovchinin will return to Earth in September. Well-known contester and World Radiosport Team Championship (WRTC) competitor, official, and supporter Walter Skudlarek, DJ6QT, of Hirzenhain, Germany, died on July 5. He was 77 and had been a radio amateur since 1958. 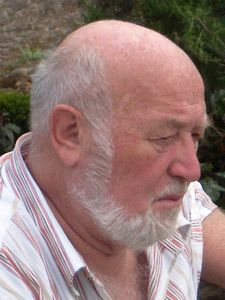 Skudlarek was a member of the CQ Contest Hall of Fame as well as a founding member of the Rhein-Ruhr DX Association and active member for more than 50 years, serving at various times as president. He was a member of the RRDXA Hall of Fame. Skudlarek was a competitor at the very first WRTC in 1990 in Seattle, as well as in 1996 in San Francisco, and 2002 in Helsinki. He served as a referee at the WRTCs in 2000 (Slovenia) and in 2006 (Brazil) and was looking forward to WRTC 2018 in Germany. His history of DXpedition operations dates from 1979, and he operated frequently from Madeira. He was one of the first single-op DXpeditioners to include RTTY as an operating mode. A frequent Dayton Hamvention® visitor, Skudlarek also was an honorary member of the Frankfort Radio Club, the North Jersey DX Association, and the Araucaria DX Group. Solar Car Challenge W1N Traveling Special Event Operation Set: Special event station W1N will travel from the Texas Motor Speedway to Minneapolis between July 15 and July 24 to highlight the 2016 Solar Car Challenge®. Several teams include students and adult advisors who are radio amateurs who wanted to operate a special event station during the Solar Car Challenge. Activity will be limited on July 15-16 but will ramp up July 16-24, 0500 to 2359 UTC. W1N will be on the air with a portable operation from the Texas Motor Speedway before the vehicles set off on the road. During the on-the-road event, W1N will have a mobile station and portable stations active as the cars move north toward Minneapolis. Mobile activity will be on 20 meters, centering around 14.343 MHz. Operation from portable sites will take place on 6, 10, and 15 meters. The calendar provides the event schedule and itinerary. QSL to Steve McDermott, KF5RVR. For more information, contact Fred Varian, WD5ERD. Special Event Stations to Mark Pope's Visit to Poland: Several special event stations are poised to mark the visit of Pope Francis to Poland. 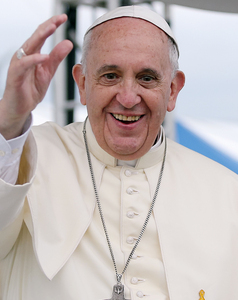 The Pope will be in Poland July 27-31 to once again take part in World Youth Days in Kraków. This is Pope Francis' first visit to Poland, where he will also make stops at the national shrine in Czestochowa to honor 1050 years of Christianity in Poland and pay respects to the victims of the former Auschwitz Nazi concentration camp. World Youth Days is a biannual event initiated by Pope John Paul II, the first Polish Pope (Karol Wojtyla). Some 2 million young Catholics are expected. Special event call signs will include HF0F in Kraków, as well as HF31WYD, HF2SDM, and HF7SDM. Tad Cook, K7RA, Seattle, reports: As this solar cycle declines, we will occasionally see periods, such as this past week, when activity perks up, and it seems that happy days are here again. Enjoy them while they last. Any recovery is unpredictable and temporary. Over the reporting week of July 7-13, the average daily sunspot number was 52.6, up 47.7 points from 4.9 in the previous week. Dominating the previous week's activity were 5 out of 7 days with no sunspots. Over the same periods, the average daily solar flux rose from 73.1 to 91.6, a healthy advance. Geomagnetic indices were also active, with planetary A index advancing by 9 points, from 6.7 to 15.7 and the mid-latitude A index rising from 8.3 to 14.1 over the same 2 weeks. Predicted solar flux is 94 on July 14-15; 92 on July 16-18; 87, 84, and 80 on July 19-21; 77 on July 22-23; 75, 73, 74, 73, and 72 on July 24-28; 71, 72, 74, 72, and 77 on July 29-August 2; then 83, 87, 92, 94, and 92 on August 3-7; 90 on August 8-13; 85 on August 14, and 78 on August 14-15. Predicted planetary A index is 15, 10, and 8 on July 14-16; 5 on July 17-20; 10, 7, 11, 10, and 6 on July 21-25; 4, 6, 7, 9, 8, and 7 on July 26-31; 4 and 5 on August 1-2; 23 on August 3-4; 14, 10, 20, 12, 8, 15, and 10 on August 5-11, and 5 on August 12-13. Sunspot numbers for July 7 through 13 were 25, 55, 63, 46, 62, 63, and 54, with a mean of 52.6. The 10.7 centimeter flux was 83.3, 87.1, 92.2, 94.4, 94.7, 92.4, and 96.8, with a mean of 91.6. Estimated planetary A indices were 23, 23, 14, 10, 11, 21, and 8, with a mean of 15.7. Estimated mid-latitude A indices were 19, 18, 15, 11, 11, 18, and 7 with a mean of 14.1.